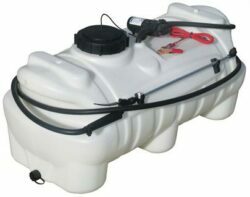 ● 34 litre capacity tank. ● Strong UV stabilised polyethylene tank. ● Impact Resistant & Chemical Resistant. 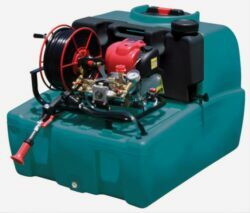 ● USA 12 Volt 3.8L/min 40PSI pump. ● Demand style pump with built-in pressure switch. 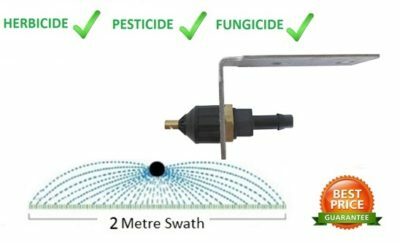 ● Metal spray lance with adjustable spray nozzle. ● Up to 5 metres vertical & 6 metres horizontal spray. ● Coiled chemical spray hose. 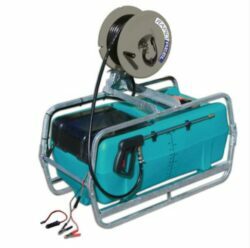 ● 2.4 Metre electrical cable with battery clamps. ● Drain bung for quick and easy cleaning. ● Twist on lid and strainer filter. ● Supplied with tie down straps. 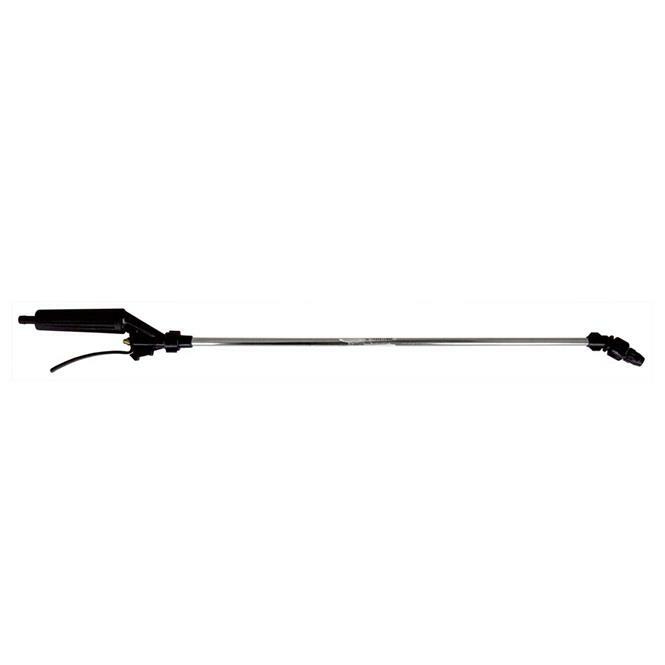 ● Light weight, compact & easy to use. ● Easily mounts on to ATVs, trailers, Quads, Utes etc. 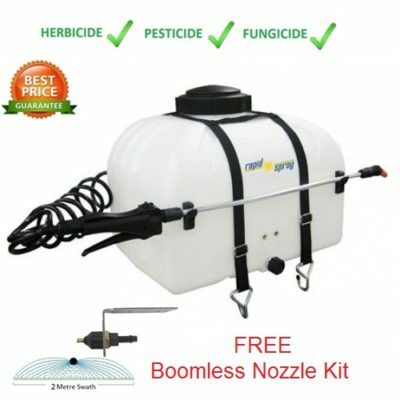 ● Upgrades available including; Trailer Frames with Boom Sprayers. ● Some assembly may be required. 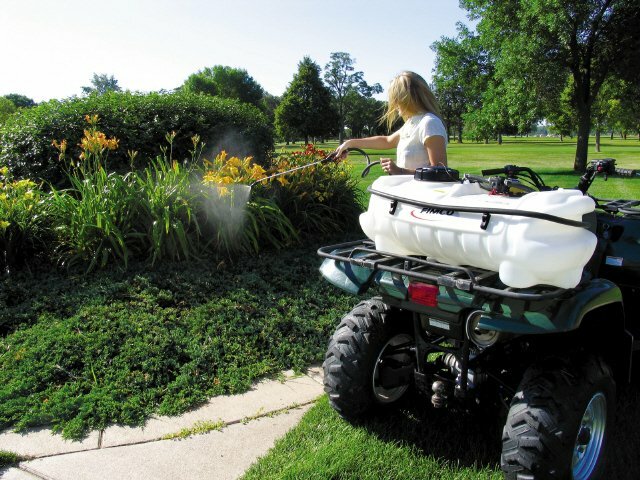 ● Perfect for Fungicides, Herbicides & Pesticides. ● Full after sales support. 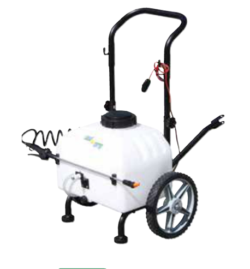 ● Other size sprayers available. 34 to 1000 litre sprayer units. 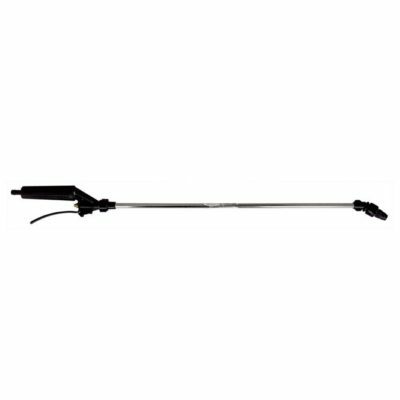 Great quality at a good price, simple to use and very effective.